Our Kickstarter campaign was fully funded in just 2 hours from launch! Get yours today! Dancebot is your smart audio companion. Watch Dancebot jive to your favourite tunes or read your audio books. 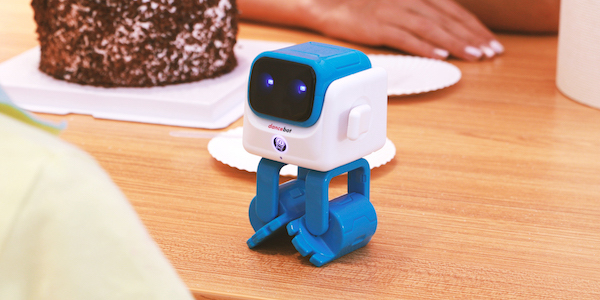 Dancebot reads bedtimes stories and sings nursery rhymes to your kids. Let Dancebot mesmerize you with its moves and wash away your stress. Dancebot is built with a smart algorithm that makes it move to the rhythm and tempo in its adorable expression of the songs. It interprets the audio input on the fly, making each dance routine unique even if it is the same audio file. Personalize your Dancebot’s startup message to make it a gift for all occasions. Delight your loved ones each time they turn on Dancebot. Customisation service is only available during the Kickstarter campaign.